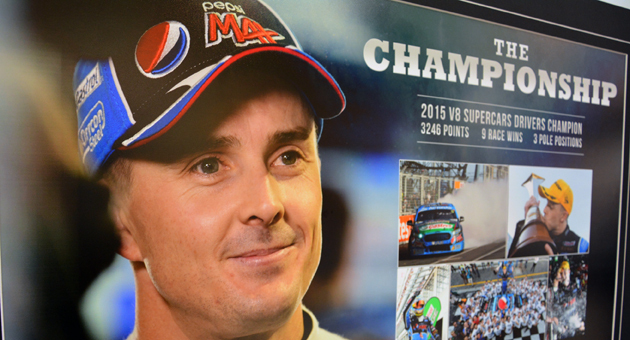 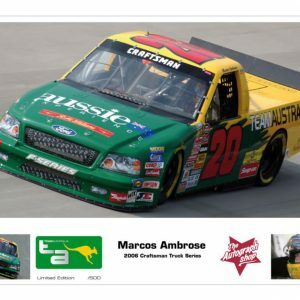 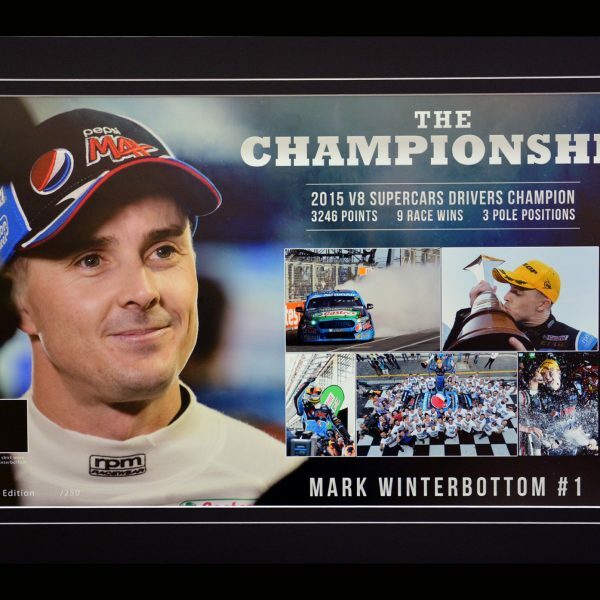 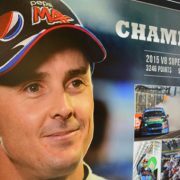 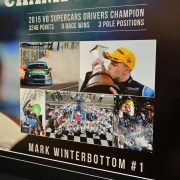 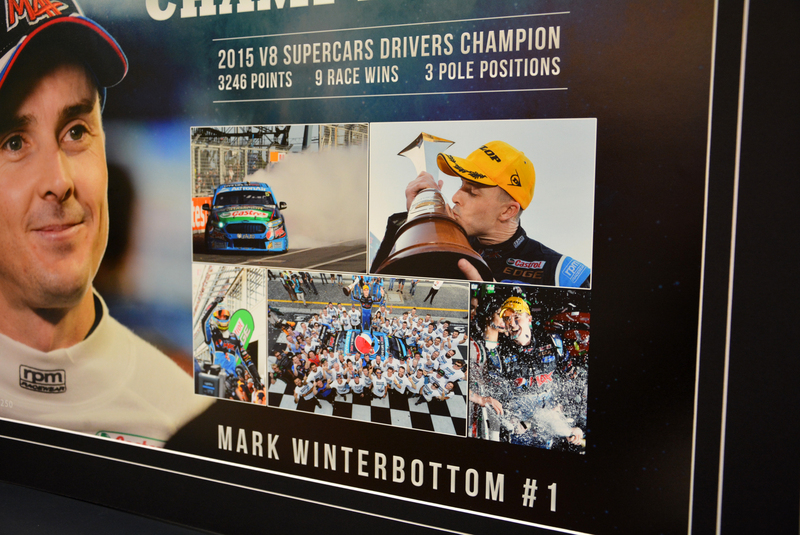 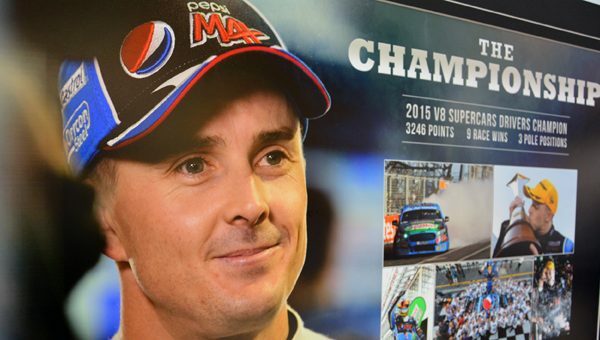 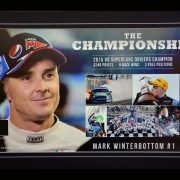 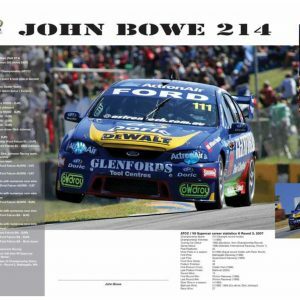 2015, the year Frosty finally won his first Supercars' Drivers Championship. 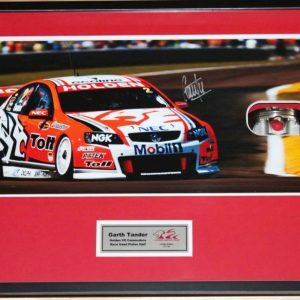 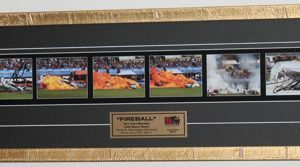 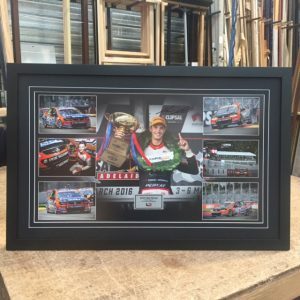 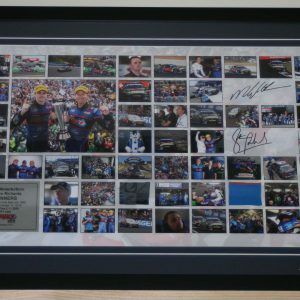 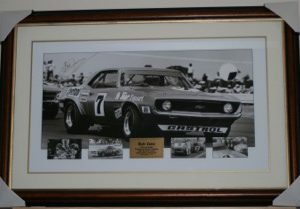 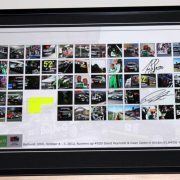 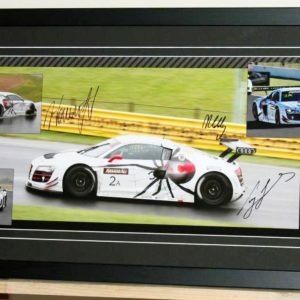 Magnificently presented in a matt black frame with a swatch of shirt worn post championship during presentations. 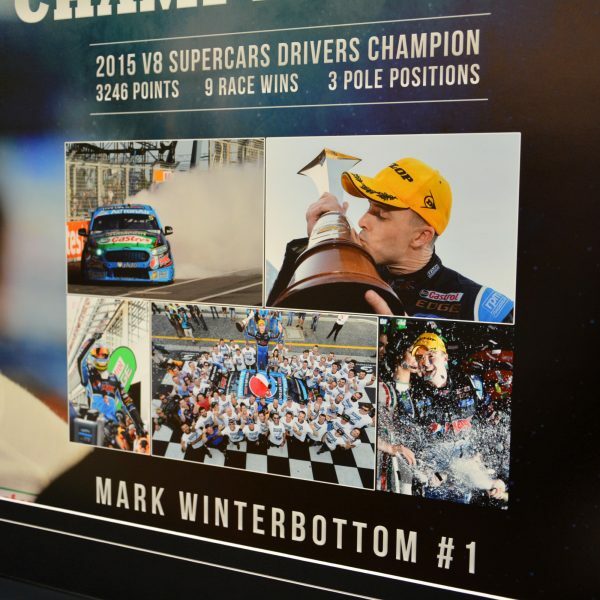 2015, the year Frosty finally won his first Supercars’ Drivers Championship. 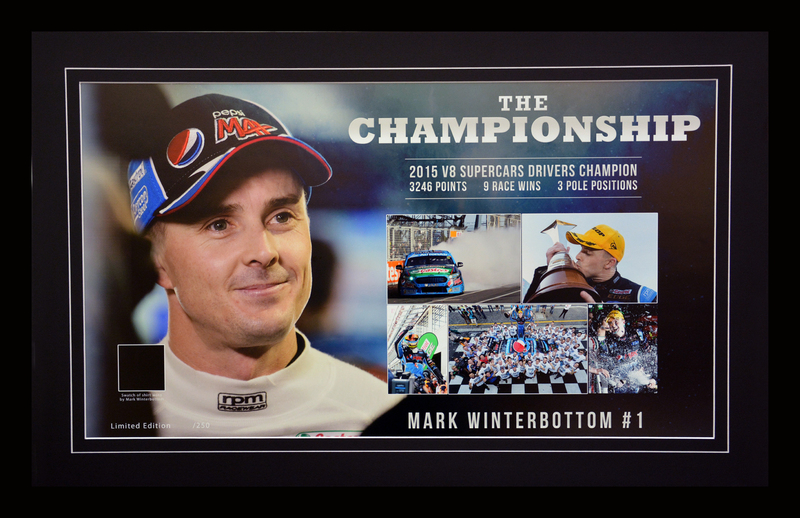 Magnificently presented in a matt black frame with a swatch of shirt worn post championship during presentations.